Disney Free Dining Promotion For Canadian Residents – Now through December 20th! Must book by December 13, 2012 ~ Proof of Canadian Residency required at Check-In. Arrive on or before December 20th and you can enjoy free dining over Christmas! 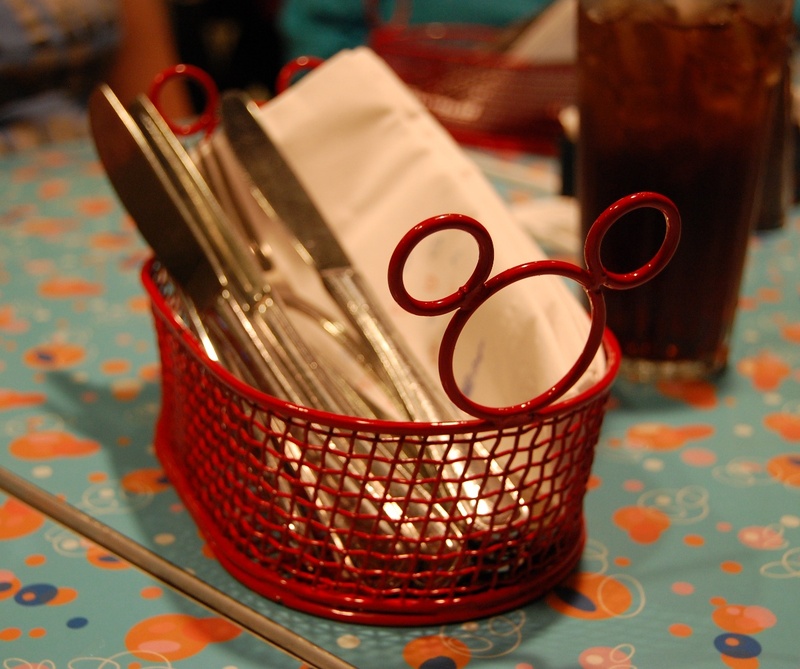 Disney has offered a Disney World Free Dining Promotion to Canadian Residents booking a Disney vacation package for select dates between September 30 and December 20, 2012. Your arrival (check-in) date must fall within the promotion dates – September 30 – October 4, 2012 / October 19 – November 1, 2012 / November 9 – 15, 2012 / November 23 – 29, 2012 / December 10 – 20, 2012 – but your departure date can extend into the blackout dates. This means that you can check in on December 20th and enjoy free dining over the Christmas holiday! (Subject to availability). Book a qualifying Disney World vacation package at a Disney moderate or deluxe resort and receive the Standard / Plus Dining Plan at no extra cost. This dining plan includes 1 counter-service meal credit, 1 table-service meal credit, and 1 snack credit per person, per night of stay. Receiving this dining plan free of charge saves a family of four about $107 or more per night of stay, based on the regular cost of this dining plan. You can upgrade to the Deluxe dining plan and just pay the difference between the standard and the deluxe plans. Contact us for details. Book a qualifying Disney World vacation package at a Disney Value Resort (Art of Animation, All-Stars or Pop Century) and receive the Disney Quick-Service Dining plan at no extra cost. The quick-service plan provides two quick/counter-service meals + 1 snack per person, per night of stay. Receiving this plan at no extra cost saves a family of four about $85 per night of stay. You can upgrade to the Standard or Deluxe dining plans by paying the difference between the quick service dining plan and your preferred dining plan. Contact us for details. Disney’s Art of Animation Resort Standard Rooms are excluded from this offer but the Family Suites are included in the free dining promotion. Travel Dates: Your arrival (check-in) date must fall within these days to qualify for the free dining promotion: September 30 – October 4, 2012 / October 19 – November 1, 2012 / November 9 – 15, 2012 / November 23 – 29, 2012 / December 10 – 20, 2012. Must Book By December 13, 2012: There are a limited number of promotional packages available at each resort so book early to get your first choice in travel dates and resort. A $200 deposit is required to hold your room. The balance is due 45 days prior to arrival. Suites, 3-Bedroom Villas, campsites, and Standard Rooms at Disney’s Art of Animation Resort are excluded from this offer. The Cabins at the Fort Wilderness campground and Family Suites at the Art of Animation resort are included in the promotion. This offer was extended to the general public on July 12, 2012. Non-U.S. residents can receive this promotion when you book through a travel agent based in the United States, like me. Free Theme Park Touring Plans & Vacation Planning Help – In addition to the free dining promotions, you can receive vacation planning help at no additional cost when you book your Disney vacation through Build A Better Mouse Trip. (1) We help with establishing a “Best Days” itinerary, (2) help with dining reservations, and (3) provide either a subscription to www.touringplans.com, www.tourguidemike.com, or an Unofficial Guide to Walt Disney World (guidebook) to help you with touring plans that keep you ahead of the crowds and out of the long lines. Contact us today to book your vacation. Build A Better Mouse Trip is an independent travel agency specializing in Disney destinations. We book directly through Disney but are not employees of the Walt Disney Company. Entry filed under: 09 - September, 10 - October, 11 - November, 12 - December, Disney World Discounts, Uncategorized, vacation planning. Tags: Disney, Disney Dining Plan, Disney Dining Promotion, Disney Free Dining, Disney World, Free dining at Disney world, Free Dining Promotion.